The U.S. Consumer Product Safety Commission (CPSC) announced that Kawasaki Heavy Industries, Ltd., of Japan, Kawasaki Motors Corp., U.S.A., of Foothill Ranch, California, and Kawasaki Motors Manufacturing Corp., U.S.A., of Lincoln, Nebraska have agreed to pay a $5.2 Million civil penalty for under reporting defective vehicles. The penalty settles charges that Kawasaki failed to immediately report to CPSC that its 2012-2016 model year Teryx4 750, Teryx4 800, and Teryx 800 recreational off-highway vehicles (ROVs) contained a defect that could create a substantial product hazard or that the ROVs created an unreasonable risk of serious injury or death. 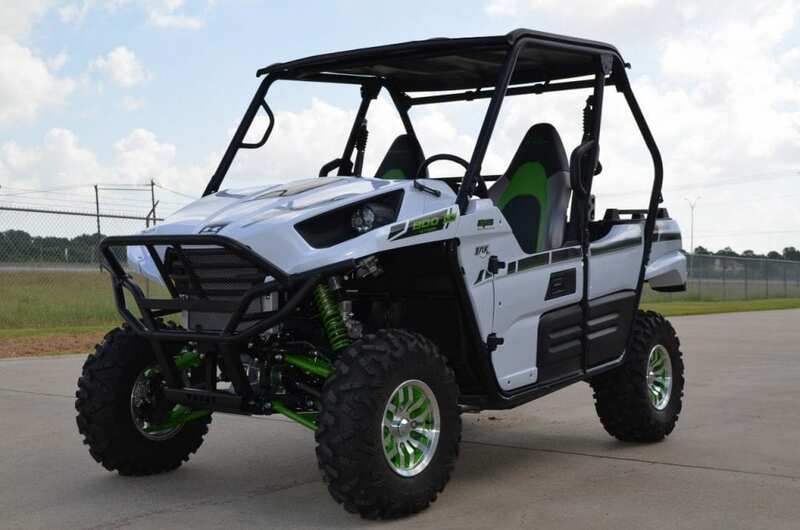 CPSC also alleged that Kawasaki knowingly made a material misrepresentation to CPSC staff by underreporting the number of defective Teryx4 750 floorboard incidents and failing to report any incidents regarding the Teryx4 800 or Teryx 800. Between April 2012 and July 2014, Kawasaki received more than 400 reports of Teryx4 750 floorboards cracking or breaking during normal operation due to impact with, or penetration by, debris from outside the vehicle. Three of these incidents resulted in injuries to consumers, including one serious injury. In addition, between July 2013 and August 2015, Kawasaki received more than 150 reports of Teryx4 800 or Teryx 800 floorboards cracking or breaking during normal operation. Three of these incidents resulted in injuries to consumers, including two serious injuries. Kawasaki failed to immediately notify CPSC of the defect or risk posed by the ROVs, as required by federal law. When Kawasaki ultimately filed its full report with CPSC, it reported a single incident and an unspecified number of injuries. The full report did not identify the more than 400 similar incidents involving Teryx floorboards about which Kawasaki had actual or presumed knowledge or any incidents involving the Teryx4 800 or Teryx 800. By omitting this information, Kawasaki made a material misrepresentation to CPSC staff, impeding CPSC staff’s investigation into the hazard posed by the firm’s ROVs and Kawasaki’s proposed repair, and hampered staff’s ability to accurately communicate the prevalence of the hazard to the public. In July 2014, Kawasaki recalled 11,000 ROVS and then expanded the recall by 19,500 in December 2015. The recalled Teryx ROVs were sold at Kawasaki retailers nationwide from October 2011 to December 2015 for between $13,400 and $16,300. In addition to paying the $5.2 million civil penalty, Kawasaki will maintain a compliance program to ensure compliance with the Consumer Product Safety Act (CPSA). Kawasaki will also maintain a related system of internal controls and procedures to prevent future defective vehicle under reporting. Kawasaki’s settlement of this matter does not constitute an admission of guilt by Kawasaki, or a determination by the Commission, that Kawasaki violated the CPSA.